Explore Water Programs in Sierra Vista! For more information and to confirm programs schedule, please call (520) 417-6980. The 1887 shaking was a major earthquake causing damage in the southwest United States and Mexico. Just how close is the Pitaycachi Fault to Cochise County and how has this fault been studied recently to analyze its reactivation potential? Cartographer and geographer, Glenn Minuth, returns to examine pictures of the fault to discuss its geological significance; and finally reviews historic damage pictures along with the narrative accounts from those who recorded their thoughts at the time from some of the over 200 Arizona locations, in nearby states, and Mexico. Join moderator, George Van Otten, Professor Emeritus of Geography and Public Planning, Northern Arizona, for a conversation about water resources, use, and management in the Upper San Pedro River Valley. Panel members include County Supervisor Pat Call, Friends of the San Pedro River member, Tricia Gerrodette; Community member and former vice president of Bella Vista Water/Ranches, Judy Gignac; and local rancher and board member of the Hereford Natural Resource Conservation District, Jim Lindsey. 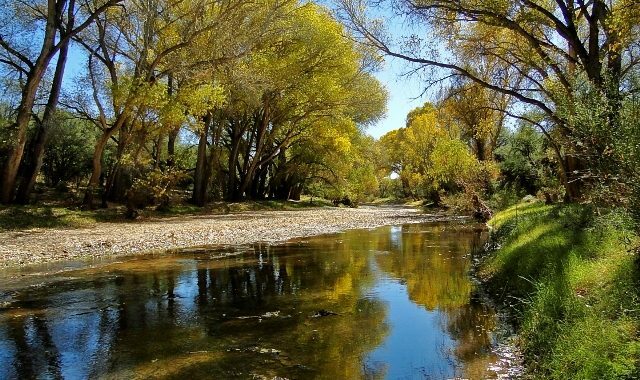 Friends of the San Pedro River and hydrogeologist Victoria Hermosilla in partnership with the City of Sierra Vista’s Henry F. Hauser Museum are offering a free guided hike along the San Pedro River. The tour covers a range of educational topics such as riparian ecology, river hydrology, groundwater science, native and migratory birds, and water policy. Join us at the San Pedro House shortly before 9am for this discussion-focused hike, all while enjoying the scenic beauty of the San Pedro River corridor. Please wear sturdy shoes and bring water. As we move into the 21st century, our water resources and management will need to become more adaptive under the pressures of population growth and less predictable weather patterns. This interactive and discussion-based presentation, with hydrogologist Victoria Hermosilla, covers the water cycle, surface water and groundwater basics with considerations of water usage as it relates water & energy and water & food. Victoria will also provide access to groundwater models and other informational displays. Cost: Free for Special Water/Ways Exhibit Hall, $7 for the “Quilts of the Huachucas” exhibit. The Henry F. Hauser Museum has partnered with our local Hummingbird Stitchers Quilt Guild in bringing this special water inspired quilt exhibit to the public, as part of their annual Quilt Show and Sale. There is a small fee for entrance into their regular exhibit area, but the Water/Ways quilt exhibit space is free. Stop by and take a peek. We have some incredibly talented quilters right here in the greater Sierra Vista area! A parent or guardian is encouraged to participate. 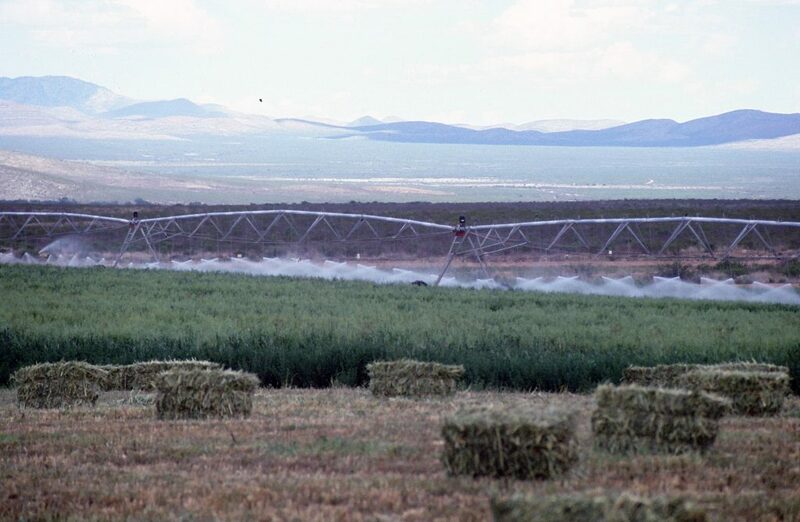 Water is Arizona’s most precious resource, yet few people know where their water comes from, who provides it, how its quality is assured, or how secure future water supplies are for the state’s 6 million residents. A billboard near Roosevelt Dam on the Salt River proclaimed in the 1960s: “Arizona Grows Where Water Flows.” However, growth and the control of water to support it have never been simple uncontested endeavors. There are the haves and have nots, conflicts between farmers, cities, and industry over who gets how much and who pays how much. Federal, tribal, state, and local governments are involved in developing and distributing water to serve diverse constituents with often competing interests. And what about nature? Who is looking out for Arizona’s native fish and amphibians, and the birds and insects that thrive in the cottonwood and willow forests along our most rare and valuable streamside ecosystems? We face very serious water supply sustainability challenges in the coming decades. Who makes decisions about our water future? ASU Professor of History and Sustainability Paul Hirt takes us on a bird’s eye view of the past, present, and future of water in Arizona. The Henry F. Hauser Museum has partnered with our city library in celebrating the many faces of water; from rivers and waterfalls to ice and steam. Join children’s librarian, Erica Merritt, for a fun and educational week. For more information call (520) 458-4225. Stop by the museum, take a peek at the Smithsonian Exhibit and create a one of a kind design using squirt guns and paint! No registration required. Simply show up! Wastewater treatment isn’t something most people like to think about, but it is vital to protect public health. Did you know that buildings from the City’s first wastewater treatment facility are still standing in Sierra Vista’s historic West End? Did you know that the City once used treated effluent to grow alfalfa? What does the City do with its effluent today? From the West End, to harvesting alfalfa, to the single-most important recharge project in our region, come hear about the history and future of wastewater treatment operations from the City’s Public Works Director, Sharon Flissar. Then meet her at the EOP for a tour following the presentation. Using markers and colored pencils, participants will draw their water scene on fabric or choose from available templated prints. Magic happens when a watercolor solution is added. Each masterpiece is then framed in an embroidery hoop. Join historian and professional researcher, Nancy Sosa, for an educational and entertaining look into a rather unique regional water story – The Tombstone Pipeline. The Huachuca Water Company was established in 1880 to bring water to Tombstone, Arizona. The investors of the Huachuca Water Company claimed and developed 23 springs in Miller and Carr Canyons of the Huachuca Mountains, and built an approximate 27-mile long iron pipeline to deliver the water. Once the longest gravity fed pipeline in America, this line is still in use today, bringing much-needed water to the citizens and visitors of Tombstone.